Johnston Motorsports is a broker of collectible and specialty vehicles. They consign, repair and refurbish cars, trucks, race cars and off-road vehicles. There isn't much they can't handle, but they're particular about the types of the vehicles they work with. 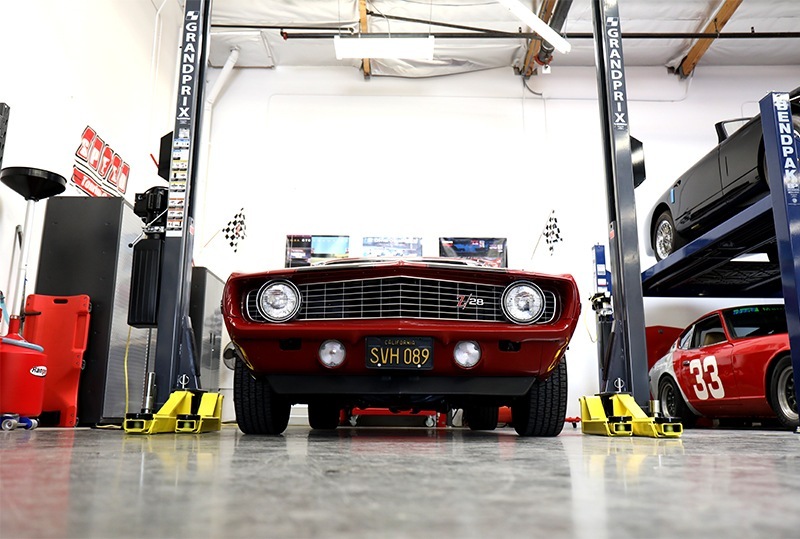 A trip to Johnston Motorsports is a car lover's paradise. Dozens of classic cars grace the showroom floors. They're especially fond of Porsche, Jaguar, Lotus, Datsun, Mercedes Benz, American muscle cars and American trucks. They do a great job with presentation, so their consigned vehicles tend to sell fast. But, you can't get a fast-selling car without the right service equipment. 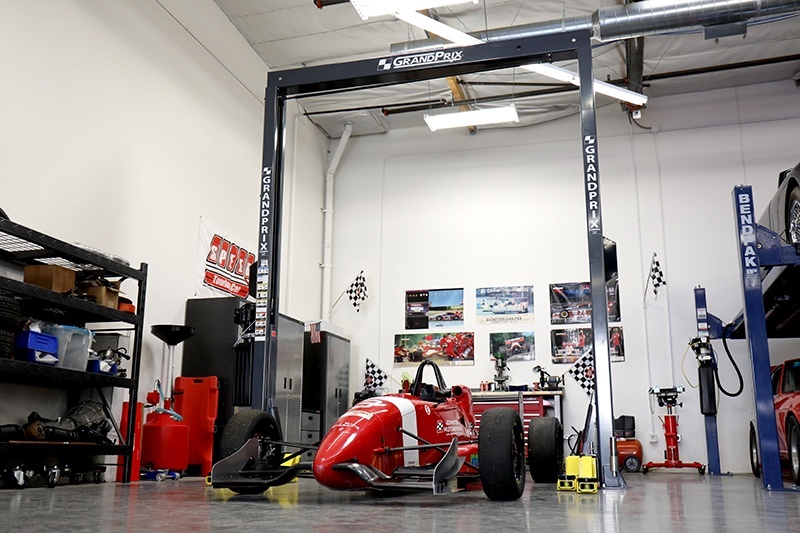 That's why Johnston Motorsports keeps handy a GrandPrix GP-7 two-post lift, which we're proud to say is slimmer and better-suited for narrow spaces than any other service lift. 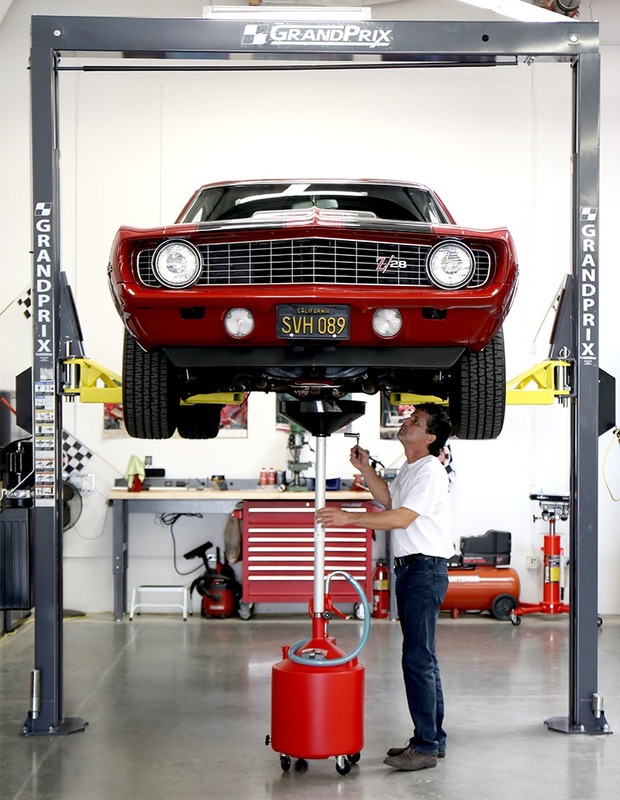 They're also a lucky owner of a BendPak double-wide​ four-post lift that lets them store four vehicles in a space that would normally only hold two. This type of small-footprint equipment is essential stock for the savvy business owner, because BendPak lifts are not only functional and reliable, they look great on a showroom floor. When you deal in luxury, your equipment needs to look spectacular and perform even better. If you live nearby or can make it to the Southern California, come see Johnston Motorsports in Thousand Oaks, right off the 101.